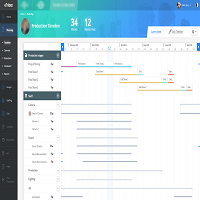 e Tribez is pleased to announce our Timeline module, the newest addition to our Production Management platform. The Timeline module allows producers to prepare a high-level plan of the production stages from pre-production through production and post-production, as well as plan the allocation of crew, cast, locations and other resources during the production’s lifetime. Planning the production stages that can be tracked and shared with other people. Allocating each production’s role, cast, location etc. during the various stages. Automatically calculating budget consequences and estimate constraints – and making decisions based on these calculations. Working in a simple, easy to use, drag and drop interface. 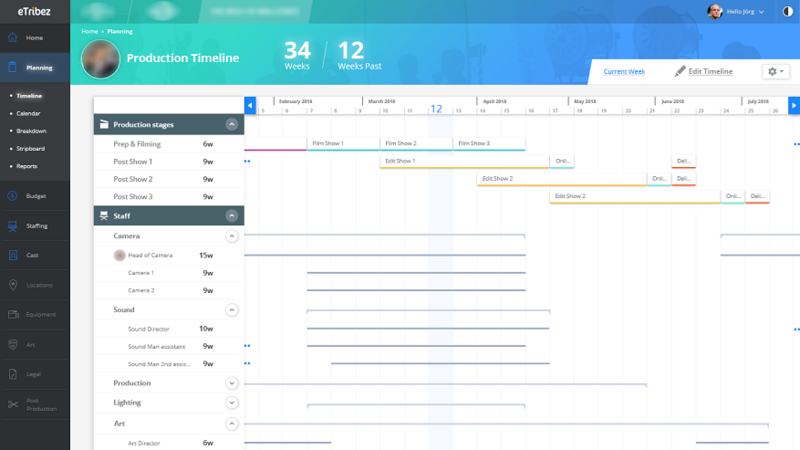 The Timeline module helps producers create an efficient plan, and use their time and money more wisely. The module will be available for eTribez clients soon. Please contact your eTribez representative for additional details. S ocial media has changed the way we make friends, interact with each other, and even fall in love. But what happens when these dynamics are really put to the test? On The Circle, eTribez and Studio Lambert are teaming up for online casting, to find out how contestants portray themselves and communicate through social media. Contestants will compete against each other to see who’s the ‘most popular’, with a chance to win up to £50,000. They will all live in one modern block but in individual apartments interacting with one another only through a voice-activated social media platform called The Circle. 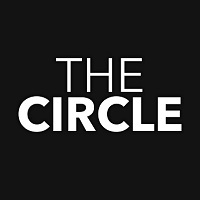 Online casting for The Circle is ongoing. For a look at the link, see https://lambert.etribez.com/ag/lambert/circle/welcome.html. e Tribez and Warner Bros. Netherlands have joined forces for First Dates. 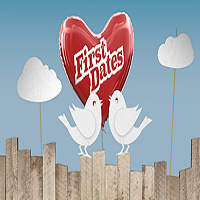 On the show, airing on BNN, Netherlands-based applicants can sign up for the chance to find out what true love is all about…and it all starts with an unforgettable meeting over dinner at the ‘First Dates Restaurant’. The show will feature a restaurant full of cameras, as they watch singles date and possibly find the match of their dreams. eTribez is providing online casting for the show, which has had a strong run in the UK, Australia, New Zealand and other parts of the world. Casting for the show is ongoing. For a look at the site, see: https://wbnl.etribez.com/a/wbnl/firstdates/welcome. 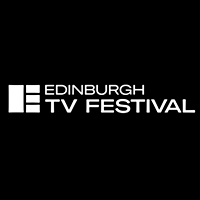 e Tribez will be attending the Edinburgh International Television Festival, from August 22-24, 2018. 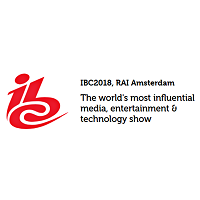 The festival is an annual media event each August, bringing together all parts of the television and media world. The festival draws more than 2,000 delegates from major networks and production companies around the globe. To schedule a private demo with eTribez at the festival, contact us.